Thank you to all of the students who participated in the PTSA Reflections Art Program. Congratulations to all of our winners! Their pieces will move on the County Art Contest. Winners will receive their prizes at the next PTSA meeting. Ms. Fyffe’s science students competed in the annual North Alabama Regional Science Olympiad at The University of Alabama in Huntsville on March 4, 2017. Twenty middle schools from across the State of Alabama competed in the tournament. Congratulations to Claire Harden and Corwin Nance for placing 5th in the Microbe Mission event and to Ashley Tiblier and Anna Johnson for placing 8th in the Tower event. And, congratulations to the entire team for representing FMMS well. These students’ work was recognized at the County level and will be moving on to compete at the State level. Congratulations and thank you for representing Floyd! 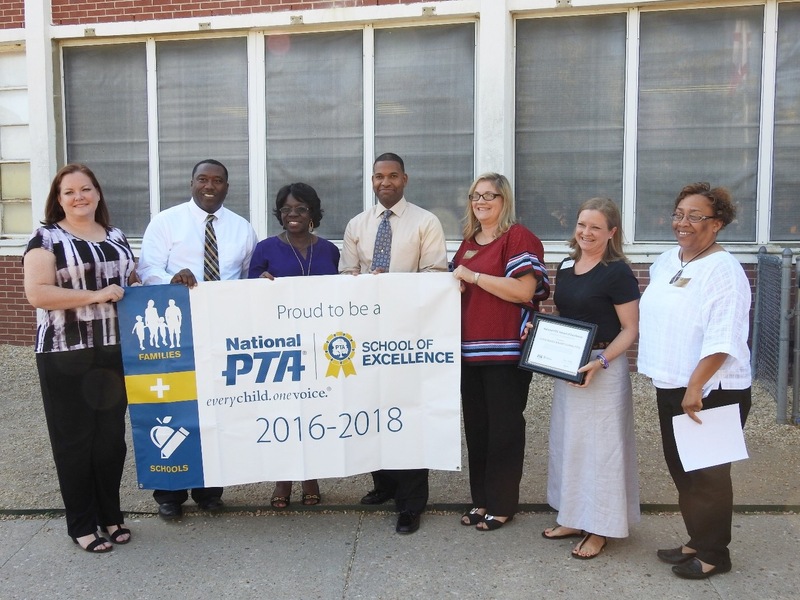 National PTA® has recognized Floyd Middle Magnet School and the school’s PTA as a National PTA School of Excellence for their achievement in building effective family-school partnerships. Research shows that when families and schools work together, student achievement increases, schools improve and communities grow stronger. Being recognized as a National PTA School of Excellence demonstrates the school’s leadership is committed to supporting student success and continuous school improvement. National PTA launched its School of Excellence program to help strengthen family-school partnerships across the country and make measurable progress in the areas of education, health and safety and arts and cultural exploration. As a National PTA School of Excellence, families at Floyd Middle Magnet School feel welcomed and empowered to support student success, and PTA is a key partner for continuous school improvement. To be recognized as a National PTA School of Excellence, PTAs evaluate their current family engagement strategies and submit a goal for school improvement that families, teachers and administrators have set together. They improve upon their family engagement strategies throughout the year, while focusing on their goal. The National PTA School of Excellence designation is awarded to those schools that have demonstrated improvement in the family-school partnership and significant progress toward their goal. For more information about the National PTA School of Excellence program, visit http://www.PTA.org/Excellence. Dress Down / Doughnut Day – Thursday September 15th for Everyone!! We are SO excited to announce that ALL of our classes brought in 100% (or more) in PTSA memberships. That means that the entire school gets an extra Dress Down day tomorrow (Thursday 9/15). The will also get doughnuts in their homeroom. Thank you to all the students, parents, and everyone else that helped us reach this goal!! Comments : Comments Off on Dress Down / Doughnut Day – Thursday September 15th for Everyone!! Join the Floyd PTSA Facebook Community!